Avast for Windows 10 - A popular program designed to protect your PC from viruses and hacker attacks. Allows you to block banners in the network. 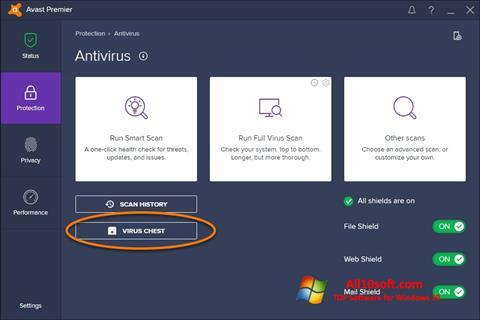 The developers have equipped antivirus with a powerful scanner that detects Trojan software, worms, and spyware. Updated offline. The program includes storage for placing infected files. There is a quarantine mode in which malicious operations are blocked. You can free download Avast official latest version for Windows 10 in English.